Think you know the Chicagoland Vampires? Try your hand at a Chicagoland Vampires Crossword Puzzle! 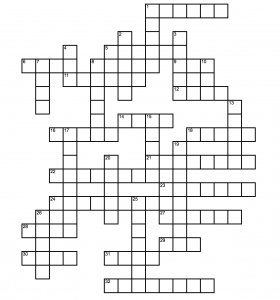 You can play the crossword online, or print and fill out a PDF version! This entry was posted in Chicagoland Vampires, Good stuff, Halloweenie. Bookmark the permalink. ← Don’t forget your Cadogan costumes! Thanks, Chloe. That was a lot of fun. Will you post the answers in a few days? There were a couple that I couldn’t figure out. something to do at work than my actual work. Thank you!!! Oh man, that took me a long time, some when I filled them in I didn’t click for a second. this was so much fun! thanks Chloe!